After visiting CWH's Flyfest, we spent Sunday at the Russell Group Field attending the Friendly Foes Above the Falls show. 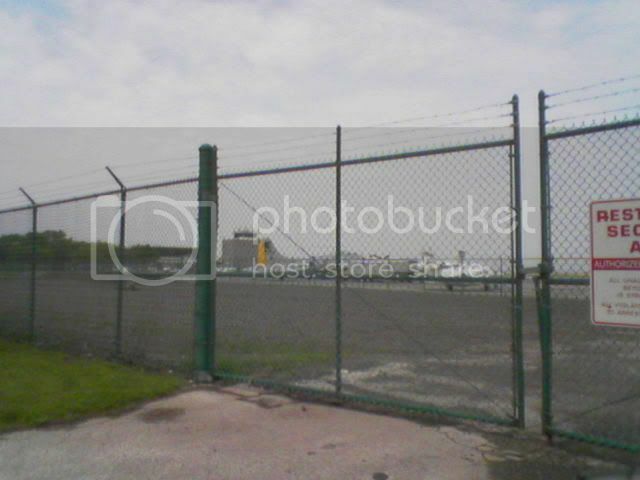 The best way to describe this show is Geneseo Jr. A nice grass field, but you have no access to the static aircraft. In addition, the show line is quite far from the field. 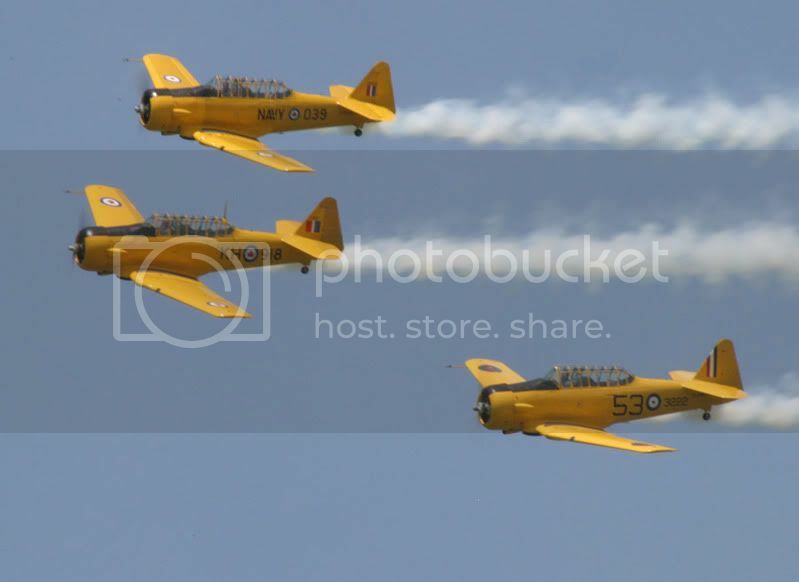 The Canadian Harvard Aerobatic Team put on their usual good show, and there were a few really neat aircraft on display. However, clearly the highlight was a few flybys of the Lancaster, Hurricane, -109, and two Spitfires flight. After the group flybys the Lancaster did quite a few nice passes, and the fighter followed. A great way to end any airshow. 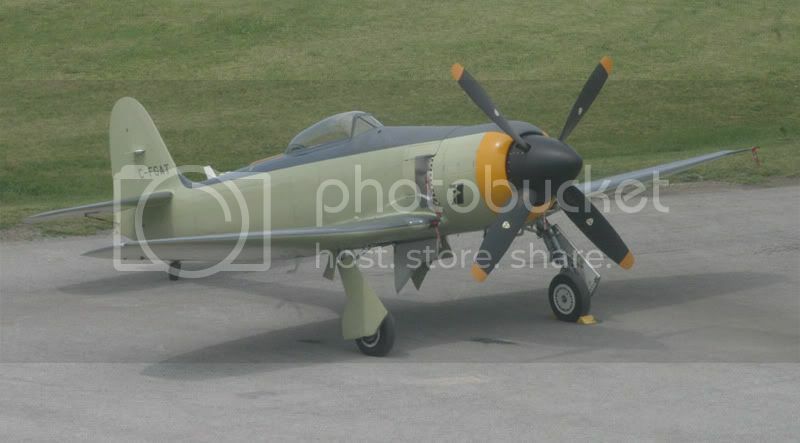 TBM-3E N9584Z/BuNo.85882 "Ida Red" in the static display area. 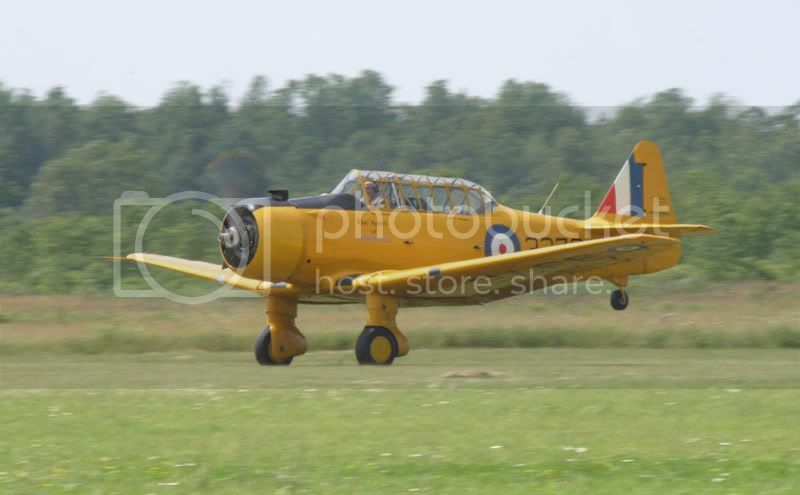 The Russell Group Harvard II. One of the highlights of the show was this beautiful Meyers OTW C-FOTW. 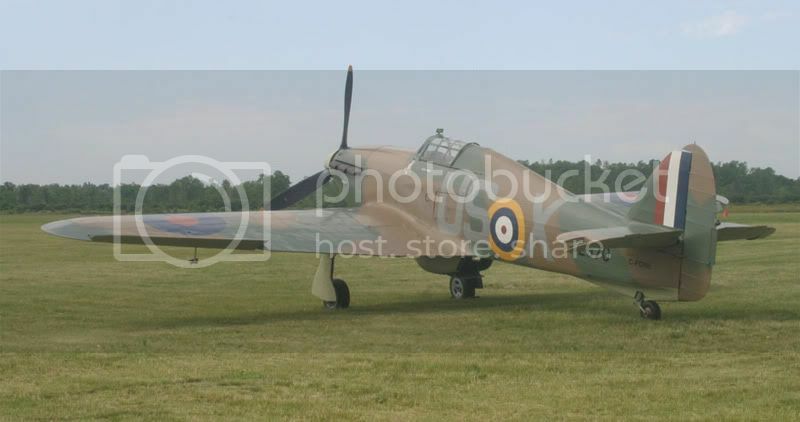 Sadly the Russell Group Hurricane XII did not fly this year. 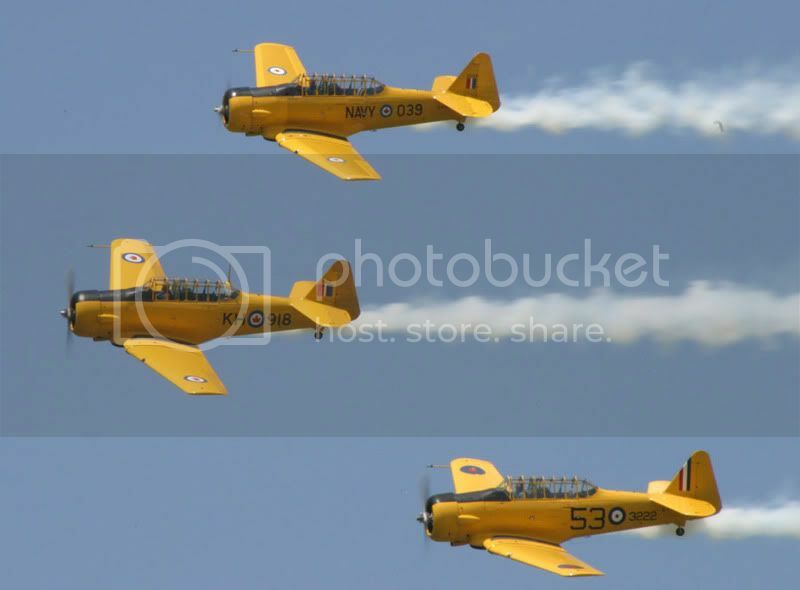 A selection of the Canadian Harvard Aerobatic Team at work. 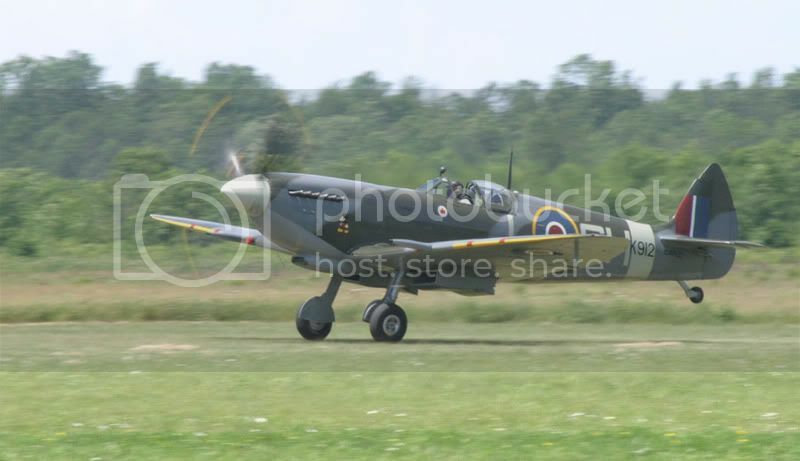 The Russell Group Spitfire IX MK912/C-FFLC. 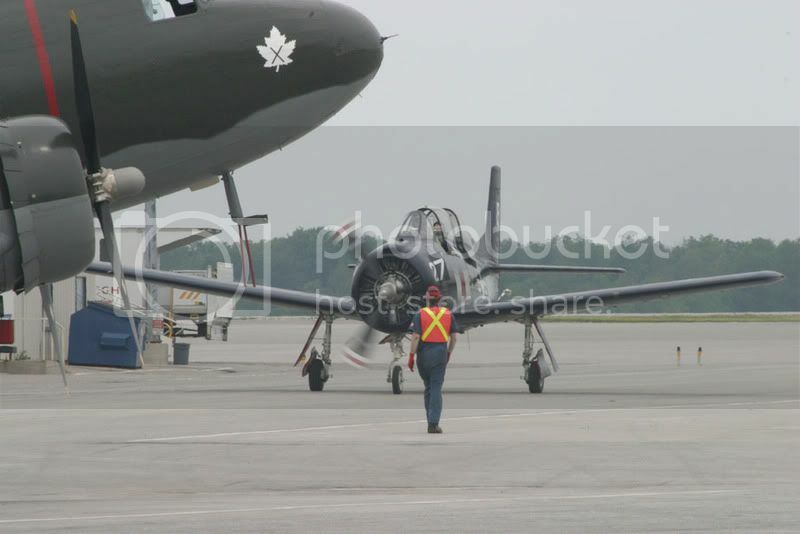 Yale RCAF 3372 C-FGIR on the takeoff roll. 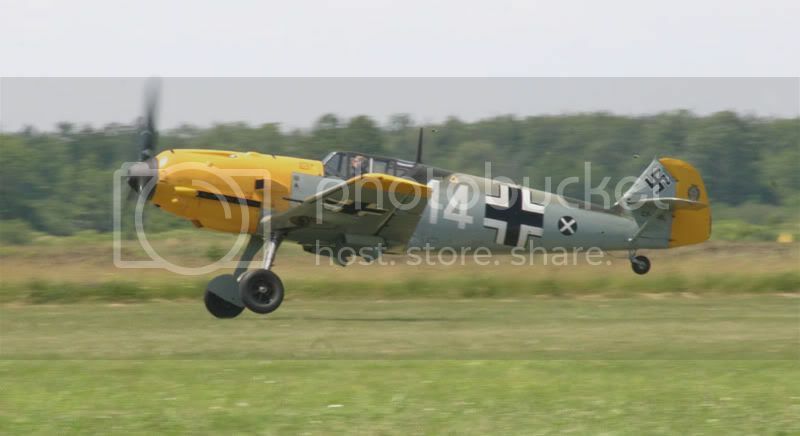 And even if it is a Messerschmitt it is nice to see the Russell Group Bf-109E C-FEML in the air. 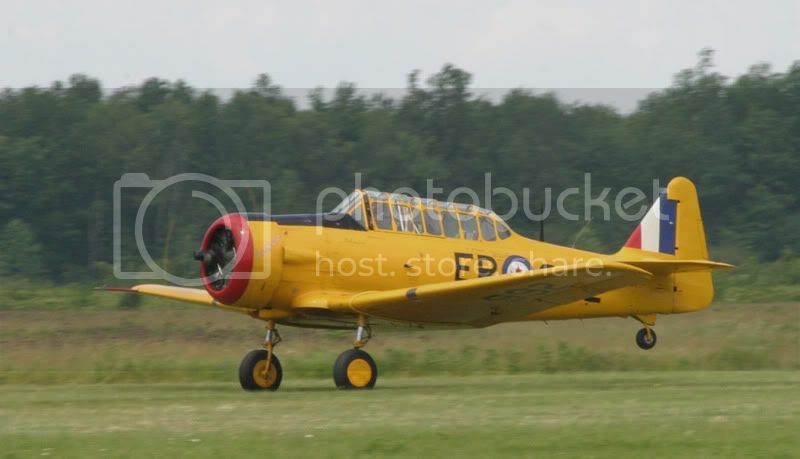 As I mentioned here, Heather and I attended the CWH's Flyfest last Saturday in Hamilton. It was a great event. Highlights included catching up with Eric and Berni, and Steve, seeing the Lysander taxi, multiple flights by the Lancaster, Firefly, B-25, and of course the Lancaster, Hurricane, -109, and two Spitfire flypast. 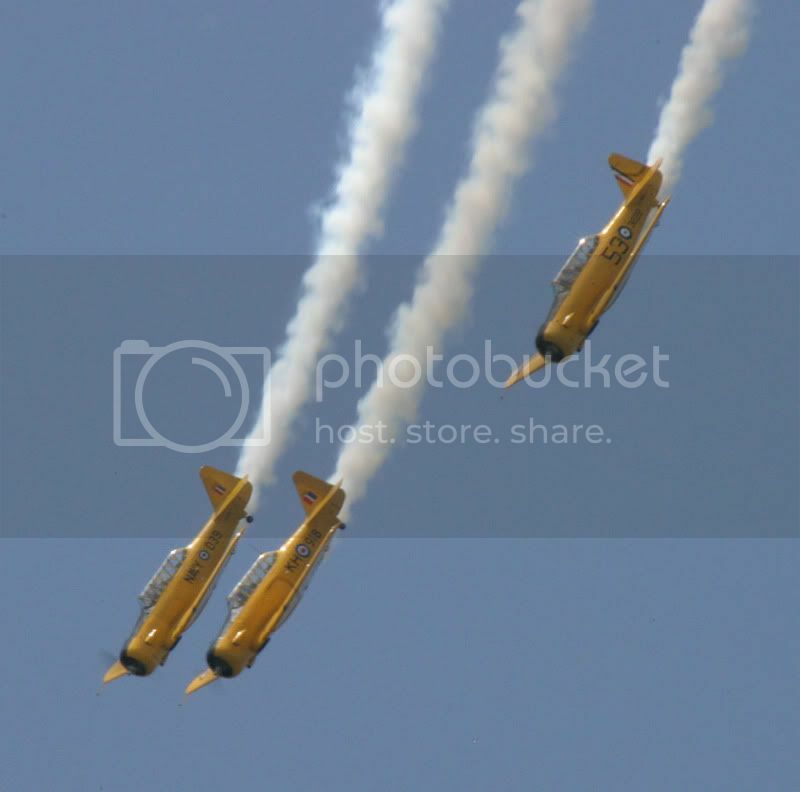 This was my first all digital airshow, and I ran into a few problems. The most major one is that I forgot to turn on my image stabilization on my lens so almost all my ground to air shots are garbage, and also it appears I've got some junk on the lens that leaves marks on the images. I hope I can get both these issues sorted out before Geneseo. Who knew going digital had such a steep learning curve? 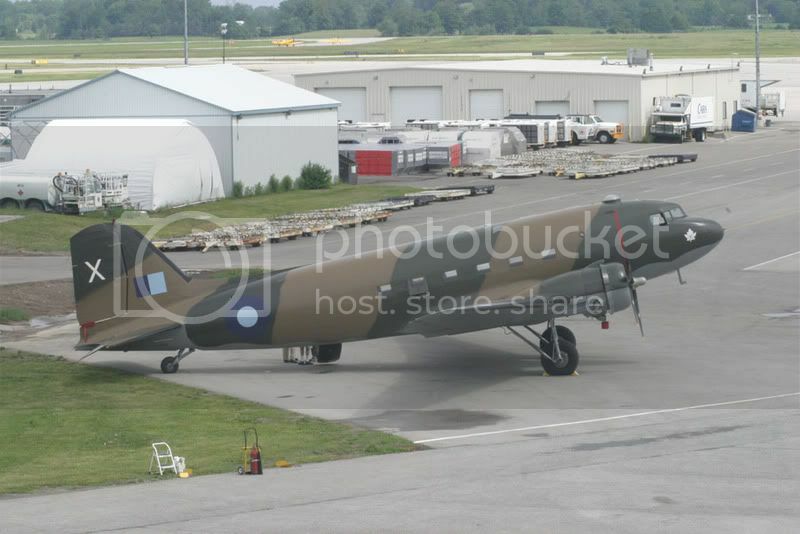 Two shots of the newly repainted DC-3 C-GDAK. Steve's big ride. Steve took a ride on the Dak. About my only acceptable ground to air shot of the day. Ohhh Firefly... 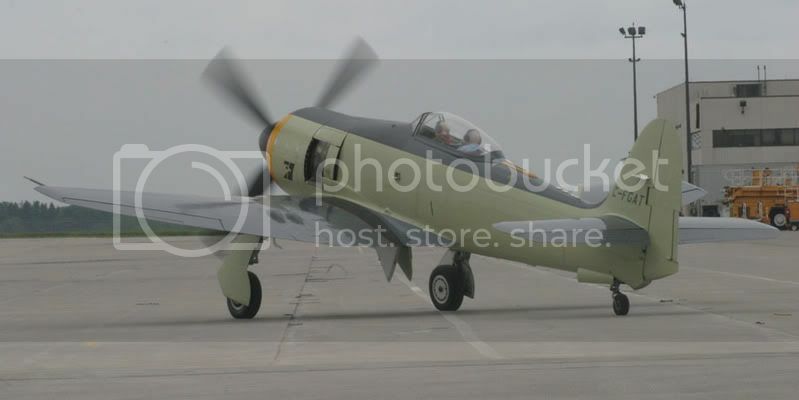 The Fairey Firefly AS.6 WH632/C-GBDG. 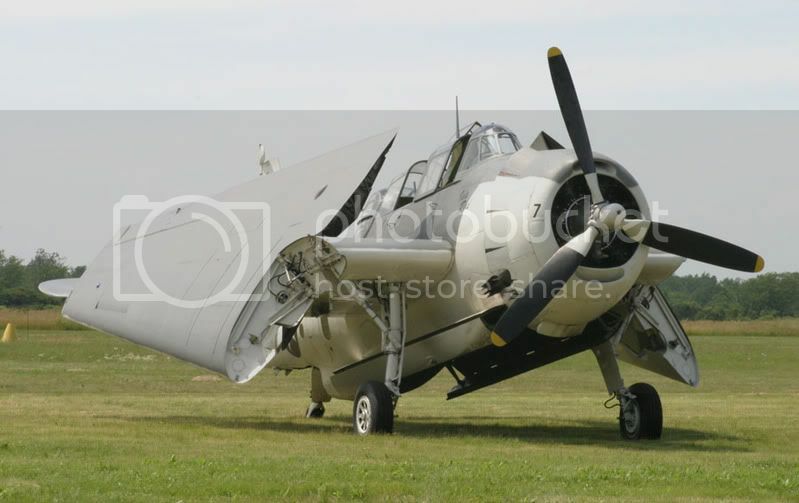 Westland Lysander III RCAF 2363 taxied around. It is hoped it will fly this year or next. The static Buffalo restoration is coming along well. It will be painted in the markings of CAF Buffalo 115461 which was shot down over Syria in 1974 killing nine members of the CAF. 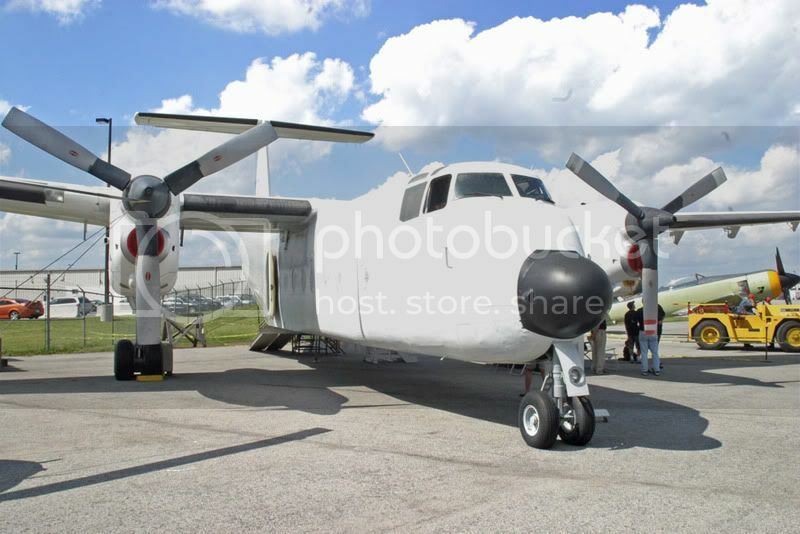 The aircraft will be dedicated on August 9, 2009 (Peacekeepers Day in Canada). 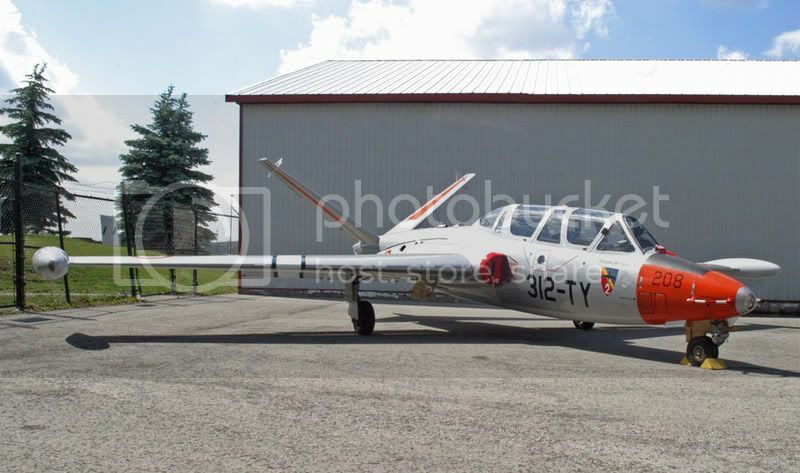 T-28 C-FPUG arrives from Welland. Sorta Fury C-FGAT in three poses. 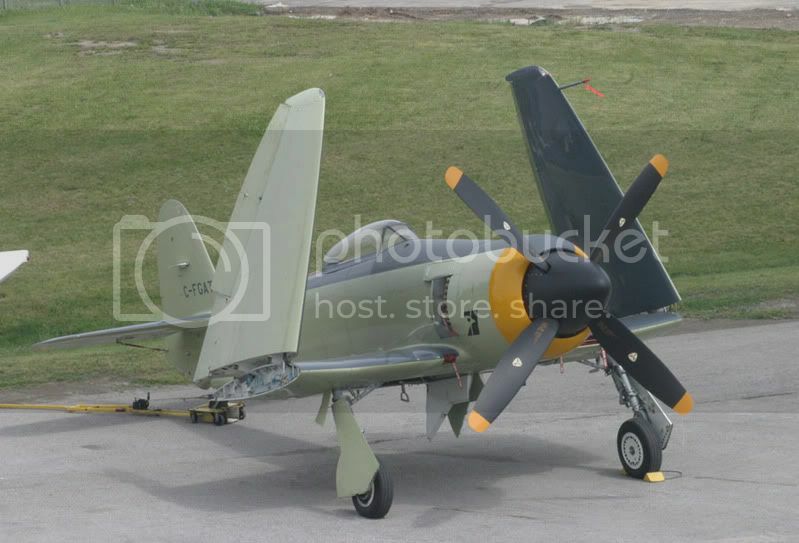 Sandy Thomson's Fouga NX549FM was sitting in a corner. 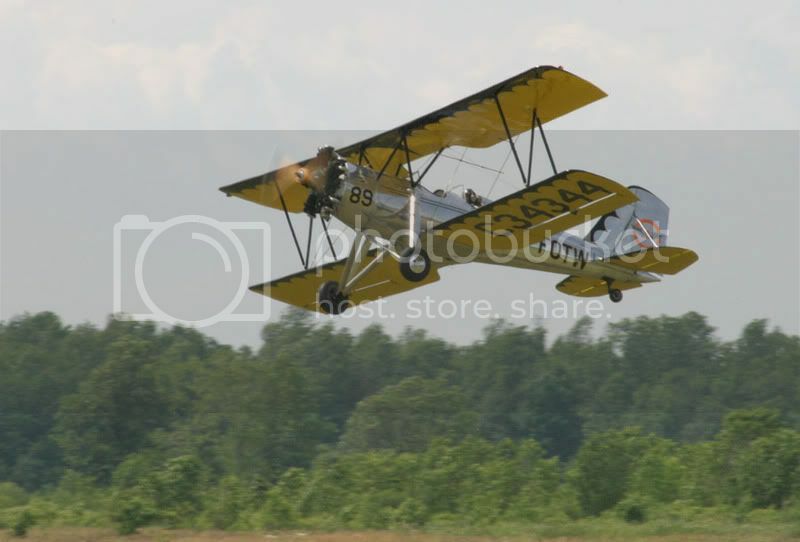 Flight of Passage by Rinker Bunk - Two brothers rebuild a Piper Cub and fly across America during their teen years. Quite a nostalgic book and very well written. Flights of Passage by Samuel Hynes - Samuel Hynes is a literature professor at Princeton and it shows, as this is one of the best written books about military aviation I've ever read. 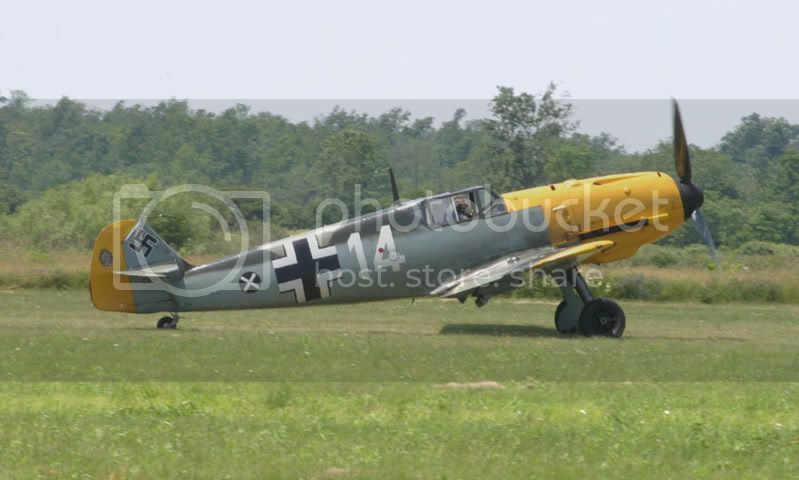 Hynes flew SBDs and TBM Avengers during World War Two. A must read for any aviation fan or modeler. Sixty years : the RCAF and CF Air Command 1924-1984 by Larry Milberry - I got this book as a young child it and was my introduction to the Canadian military aviation history. The one that started it all. I still dip into time to time for modeling inspiration. The Cannibal Queen by Stephen Coonts - Coonts writes mostly fiction, but this book is his non-fiction story about barnstorming in a Stearman. A good read. Ragwings and Heavy Iron by Martin Caidin - One of the few books out there about flying restored warbirds. Some good stories here, though being a Caidin book you do wonder how much of it is fiction. Slide Rule by Nevil Shute - Before he became a writer Nevil Shute Norway was an aviation engineer. This is his autobiography up to 1938. Mr. Norway worked on the R-100 project and there is much discussion of it and R-101 in the book. A fascinating read about the early years of aviation. Spitfire: The Canadians by Robert Bracken - Maybe the best monograph on a single type in service with the RCAF ever. Great stories, photos, and profiles. Spitfire II: The Canadians by Robert Bracken - More of the above. I hope for a Spitfire III someday. Airman's Odyssey by Antoine de Saint-Exupery - Three of Exupery's books in one volume. Excellent stories of flying mail in the 30s, and Flight to Arras is Exupery's only wartime memoir. Stranger to the Ground by Richard Bach - Bach book about a flight in a F-84F in Europe. Bach writes not only about flying, but about his fears and mortality as well. We are on the road and this is attempt to mobile-blog from Canada. Isn't technology great? 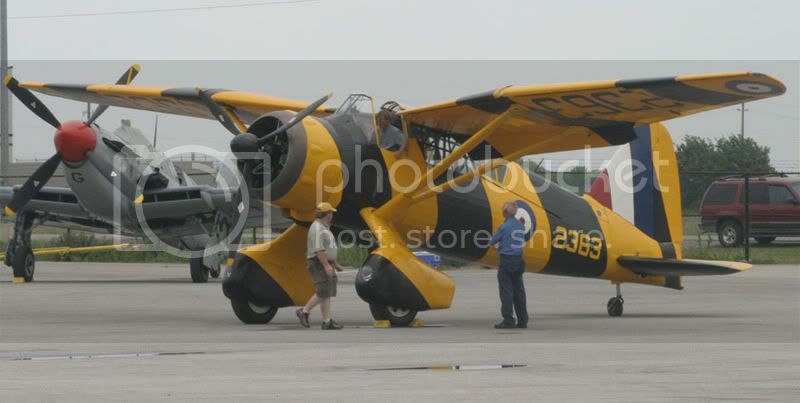 Heather and I attended the Canadian Warplane Heritage's Flyfest today in Hamilton. Here are a few a few photos from the show. Expect many more later in the week. The ramp. You don't see this kind of stuff all in one place very often. 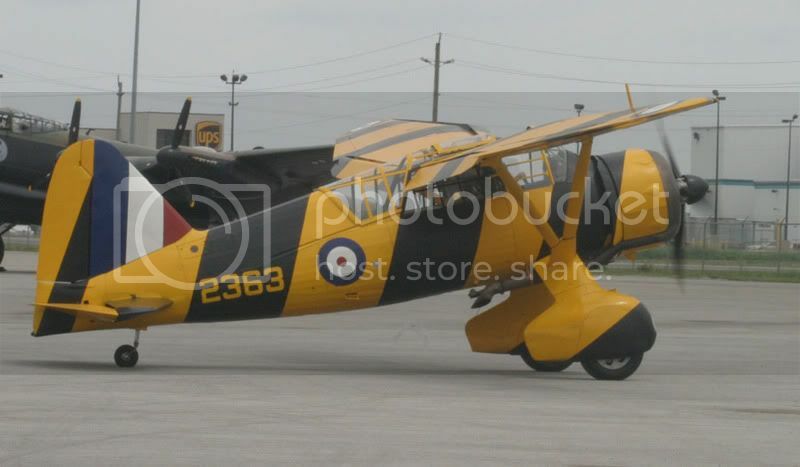 The Lysander taxis around the ramp. Hopefully it will fly soon. 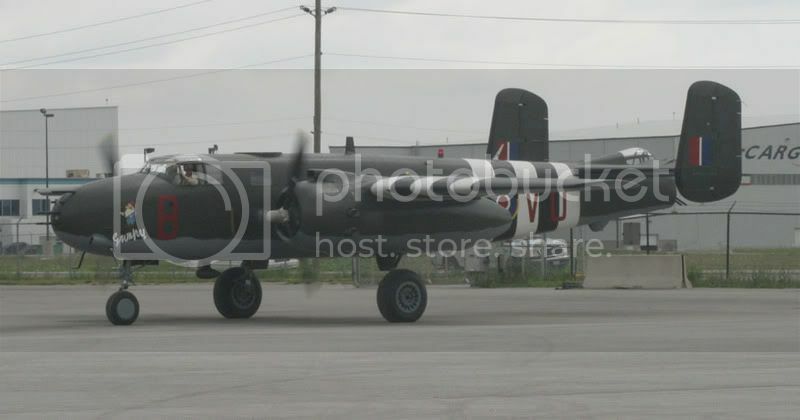 The B-25 is still Grumpy. The money shot. 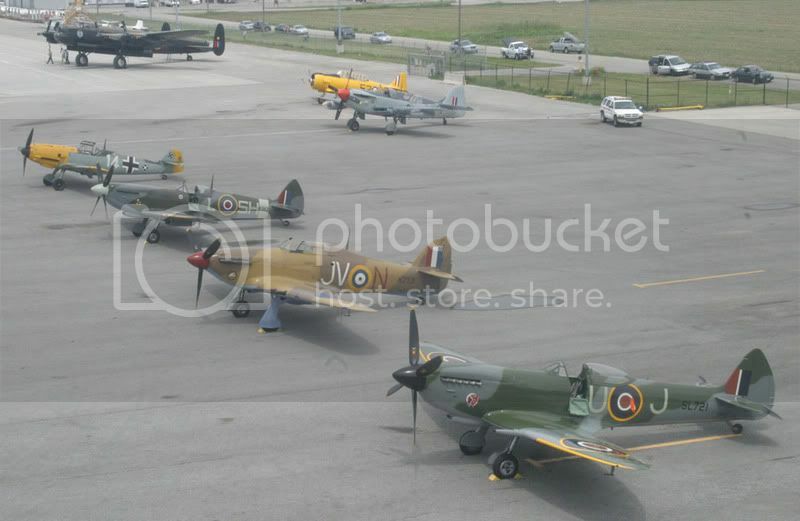 The Russell Group Spitfire and Me-109, the CWH Lancaster, and the Vintage Wings of Canada Hurricane and Spitfire. You Are Not The (Hobby) Boss Of Me!